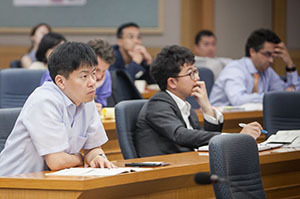 FMA bridges theory and practical application through international conferences, high-quality research and publications. FMA's curated content and searchable archives address the needs of finance practitioners in corporate finance, investment management, and other industries with resources in Financial Management, Journal of Applied Finance, videos, presentations and interviews with pioneers of the profession. Do Well-Connected Directors Affect Firm Value? Using social network analysis, Thomas Omer, Marjorie Shelley, and Frances Tice investigate whether well-connected directors increase firm value and if firms with well-connected directors have higher market value, after controlling for their operating cycle, investment opportunity sets and market competition. Jay Ritter addresses why IPO volume, and especially small company IPO volume, has been depressed for more than a decade. Ritter discusses the effect of tick sizes on the IPO market, the number of jobs created by companies going public, and the effect of alternative venues for cashing out and raising capital. In this keynote address, Scholes explores not only his current research, but hypothesizes on the three things responsible for the current economic crisis. “For a new method to determine the value of derivatives." A diverse group of panelists describe the Federal Reserve's revised approach to large bank supervision, discuss several challenges that this has created for the banking industry, and evaluate where we stand in terms of balancing regulatory benefits and costs from a public policy perspective. The FMA Survey and Synthesis Series is a collection of monograph-type books providing concise information on a diverse set of topics (e.g. Asset Management, Consumer Credit and Mortgage Valuation Models). 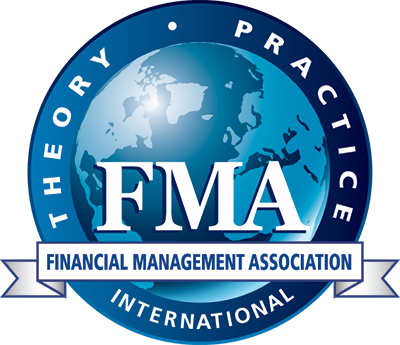 FMA members receive a 35% discount on Series' titles logging into the members-only section of the website. Professor Andrew Ang presents a comprehensive, new approach to the age-old problem of where to put your money. Clearly written yet full of the latest research and data, Asset Management is indispensable reading for trustees, professional money managers, smart private investors, and business students who want to understand the economics behind factor risk premiums, to harvest them efficiently in their portfolios, and to embark on the search for true alpha.